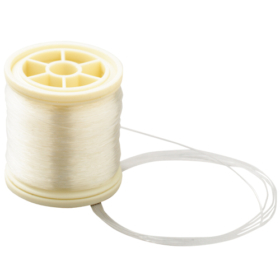 Spool of 75 m (2953″). Used to increase the gliding of the elastic thread in the Orfitube, e.g. when the Orfitube is locally kinked and when the length of the elastic is not determined.